What moms should know about feeding baby! Suzie Barston wrote a book about infant feeding so that women can feel supported no matter how they choose to feed their baby…whether formula or breast. I have not read her book but here is an interview with Suzie where she answers some questions that may help a new mom. I wrote the book with a few goals in mind – first and foremost, I wanted to offer some support and perspective for women dealing with conflicted feelings about infant feeding. But I also wanted to provide a resource for childbirth educators, medical practitioners, and breastfeeding advocates which would explain how it feels – viscerally – to “fail” at breastfeeding in today’s world. I believe that most people are trying to help mothers; the problem is that they often unintentionally do the opposite. There is a right way and a wrong way to educate parents about breastfeeding, and I hope that even if childbirth educators don’t agree with some of what I have to say, they can approach it as a Field Guide to the American Bottle Feeder. 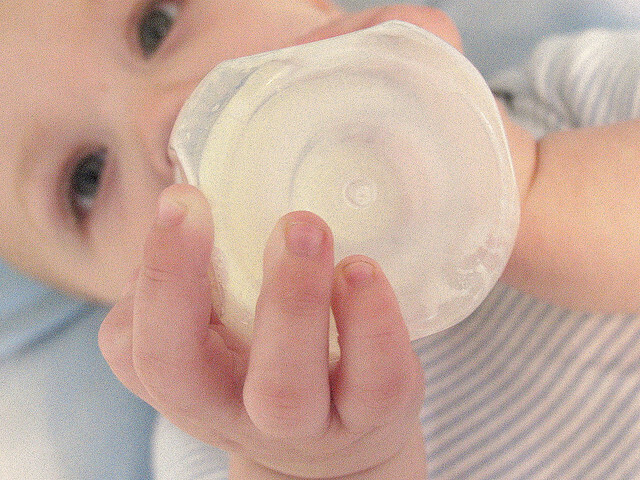 Science & Sensibility » “Bottled Up”: An Interview with Suzie Barston on Her Infant Feeding Experiences and Implications for Birth Professionals. This entry was posted in Family, Feeding, Grandmas & Grandpas, Moms & Dads, Parenting and tagged "Bottled Up", bottle feeding, Breastfeeding, Suzie Barston by llpitlwp. Bookmark the permalink. I just want to interrupt this comment to wish you a very happy birthday.